Coming from Freakout to Balance. When you are threatened, usually we get stuck in our heads and this is a place that can hoard nightmares. The reason for this is simple, the consciousness of the human body isn’t meant to be held one area of the body. Consciousness or your own individual awareness of your mind, body and spirit is meant to be spread around the entire body and the fields of energy that surround the body. Has this happened to you? You lose your ability to focus and stay balanced in the world around you when things go into disarray? Some of it depends on your energetic constitution, or how you react to the world around you. Some people can harden and push through when under pressure, others can fizzle and panic, some go super inward in recharge their batteries. While this is a society that encourages the hardening and pushing through of life, let face it, this isn’t everyone’s go to reaction when in fight, flight or freeze. Now what is fight, flight or freeze, it a stress reaction. Its your body, mind and spirit thinking you are life threatening danger and is doing everything it can to save your life. Now, we no longer live in a world where we necessarily need to worry about being eaten by an animal or a random scratch or encounter with drinking water is going to kill us. It is relatively rare that our lives are physically threatened. But our body doesn’t know the difference between a late bill and death. Plus our brains don’t help matters very much either. You mind has a series of whats known as feedback loops, which record experiences. If you had a negative experience as a child, say you fell off your bike and suffered a trauma, your brain can record that and now everything that feels, looks or seems like that accident will set that feedback loop in motion. You essentially relive that trauma over and and over again. This phenomena has been measured by science in a plethora of different ways. One thing that really helps the body come back to center is to change its state of consciousness. Meditation, yoga or massage therapy is a great way to remedy this. If you are new to the concept of meditation or yoga, massage is a very deep and very useful way of reprogramming these feedback loops to react to stress differently. A reason for this is that if you are in a trigger, or your body is in fight or flight from a stressful job, or being in chronic pain, etc, then you are in one of these feedback loops. By changing the body’s state through massage, it retrains your brain to change these feedback loops as well. Also the body is meant to hold feedback in three different areas, the brain, the heart and also the gut. The heart produces 50x more energy then the brain and the gut has been found to contain even more gray matter then the brain. According to the HeartMath Institute, who have been measuring the heart’s connection to human consciousness for over 40 years, tt has been found that when people move their consciousness to being more heart centered or “thinking” from their hearts, their behavior drastically changes to being more balanced. It has also been measured that the human body is in closer resonance, or the magnetic wavelengths with other life such as animals and plants were match in frequency. Gray matter are cells that are associated with neurological function. This is especially interesting because it can be said that we can “think,” with our gut or rather we have two brains. 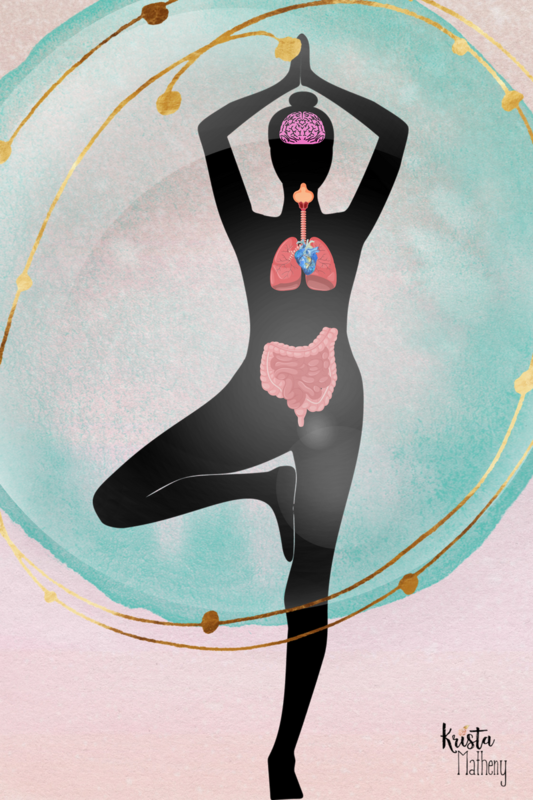 This is another reason why gut health is so important to a balanced state of conscious. 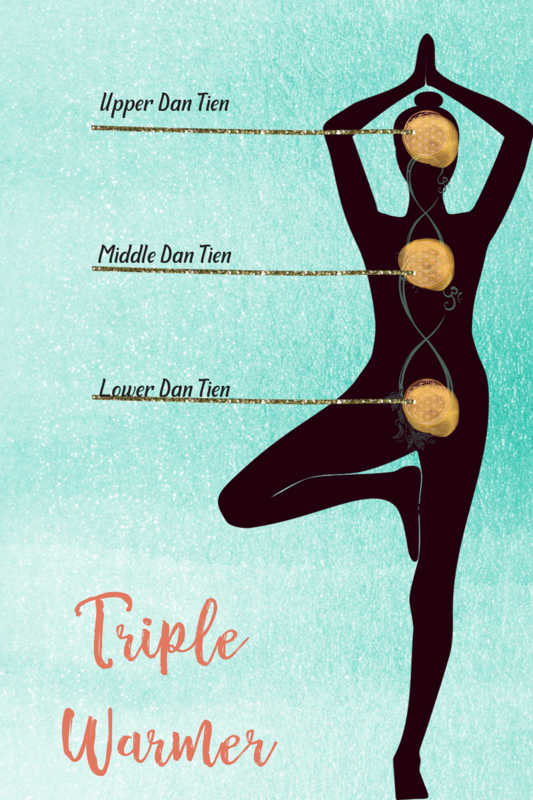 It is even more interesting because in ancient Taoist meditations and in Traditional Chinese medicine, there is an energy system known as Triple Warmer. Its job is to heat the body and this literally keeps you alive. Triple Warmer resides in three main places in the body, the head, the heart and the pelvis (look familiar?). And if the fire is too much in one area and not enough in other area’s, then the body isn’t being heated properly and hence not balanced. An imbalance in this energy system can translate to survival issues coming up. When Triple Warmer isn’t balanced, it can also be indicative of this brain, heart and guy connection being off as well. There are a plethora of different ways to address this. 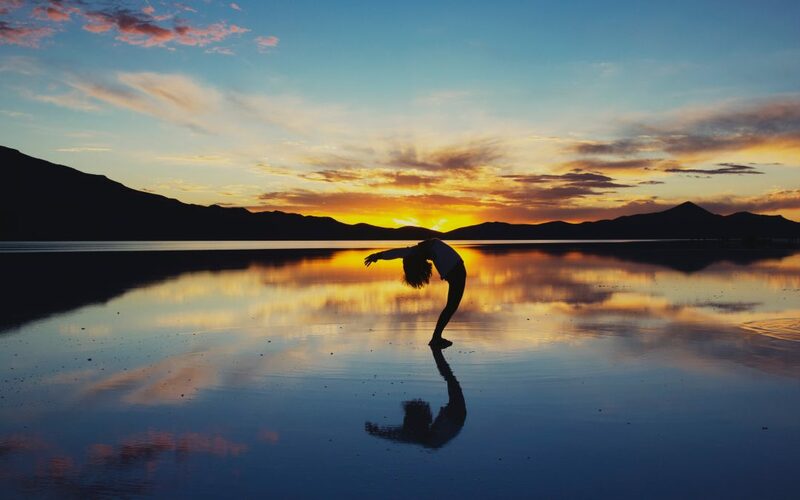 One great way is through a simple Yoga Sun Salutation with breathe being used in particular places in the body. Stand in Mountain Pose, (Tadasana) grounding into the groin and just watch your breathing for a moment. Are you breathing shallow? Are you breathing deeply. Just notice. 1. Now, take your breathe up to your chest, really feel your sternum (breastbone) rising and falling as you breath in and out. 2. Now, breath into your belly. Feel your breathe push your belly out on the inhale and in on the exhale. Sit and notice what changes. Feel your head get very heavy as you float down into a forward fold, until your hands either touch the ground or you can bend your knees slightly until they touch the ground. Walk your hands out until you are in a plank post, breathe into your belly in this pose for 5 breathes. Float down and Chattarunga and settle on the floor and push up into Cobra and breath into your chest. Walk the hands back to the feet and return to Mountain Pose. Now breath into both the chest and the belly. Rinse and repeat for as long as you desire or you feel calmer.